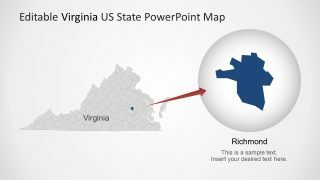 The Virginia US State Map PowerPoint Template is a geographical presentation layout. 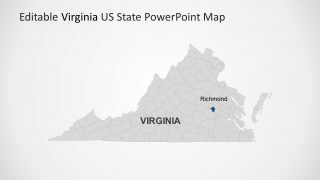 Virginia outline map is the latest addition to SlideModel editable maps collection. 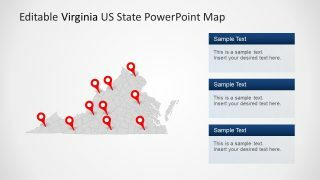 Many international organizations use editable PowerPoint maps while presenting market surveys or potential business opportunities. But maps of US states will benefit companies to also demonstrate nationwide product/service distribution and consumer market. 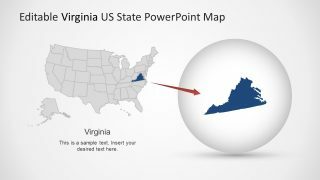 The State of Virginia is southeastern region with neighboring states like Maryland, Washington DC, North Carolina, Tennessee, and Kentucky. 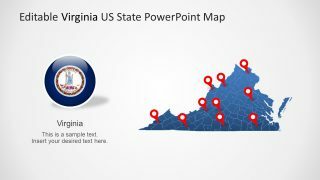 The Virginia US State Map PowerPoint Template provides 7 slides with a variety of map layouts. 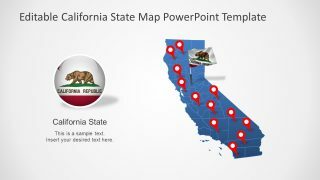 These are fully editable set of shapes along with location markers, text placeholders, and State flag. 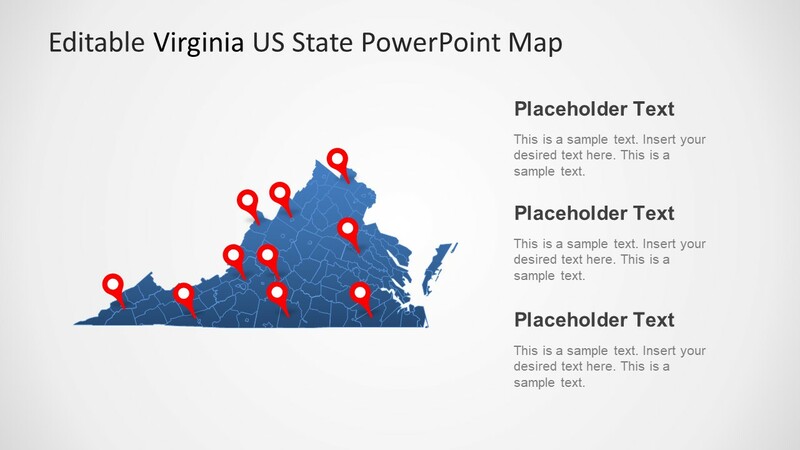 And, slides contain editable counties join into one state. 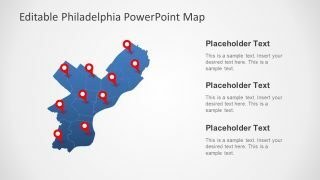 These map slides are initially available in blue and gray color. 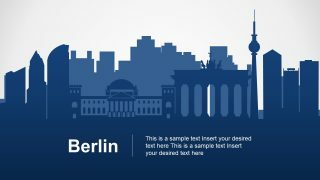 However, users can change shape fill and outline according to presentation requirements. The customizations also enable users to create a statistical analysis by adding multiple colors for counties. For instance, the counties where company has its franchise may have green color-fill to highlight them. The State of Virginia is comprised of 95 counties and this editable map template contains individual shapes for each county. It further provides layouts with highlighted or zoom-in shapes to discuss specific geographical area conditions. 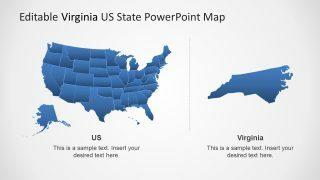 The PowerPoint map template of Virginia also contains two USA slides in gray and blue colors, highlighting State as part of America. 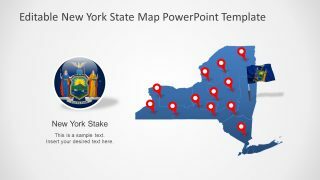 It will assist professionals to label US state, counties, and cities easily in one map design. Users can copy any layout into other presentations with the help of “source formatting” paste option.